Meet Sophia! The first recipient of our Give Kids A Smile Charity! Sophia is one of our most beloved patients. Her particular case is one that we hold near and dear to our hearts. When Sophia first arrived at our office, she was shy and frightened by the prospect of any dental treatment. Her previous experiences at the dentist made her hesitant and distrustful. But over the course of her treatment for over a year and a half, we have watched her flourish into the smiling young lady in the picture. 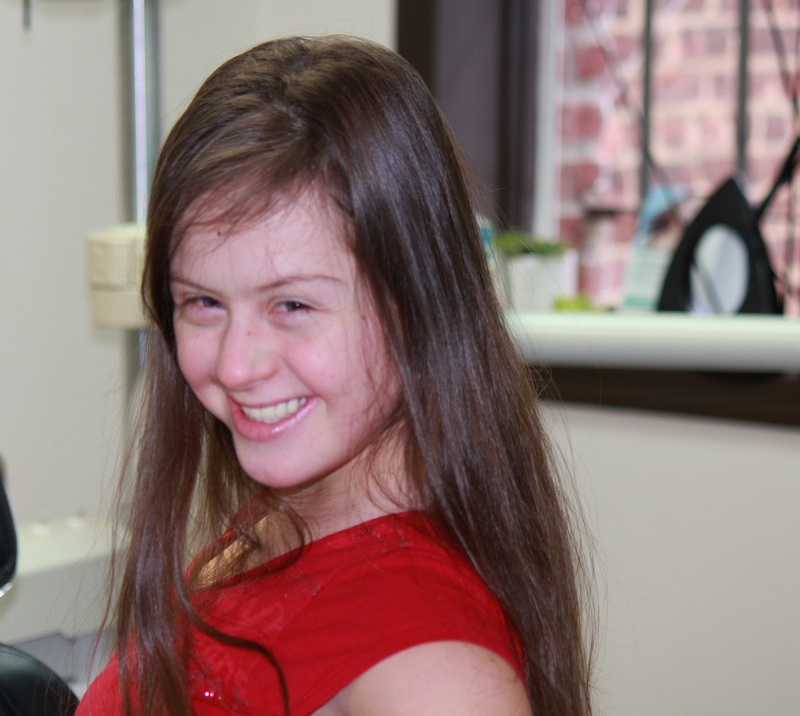 The complete smile transformation she underwent has been a mutual journey, both for Sophia and our staff. 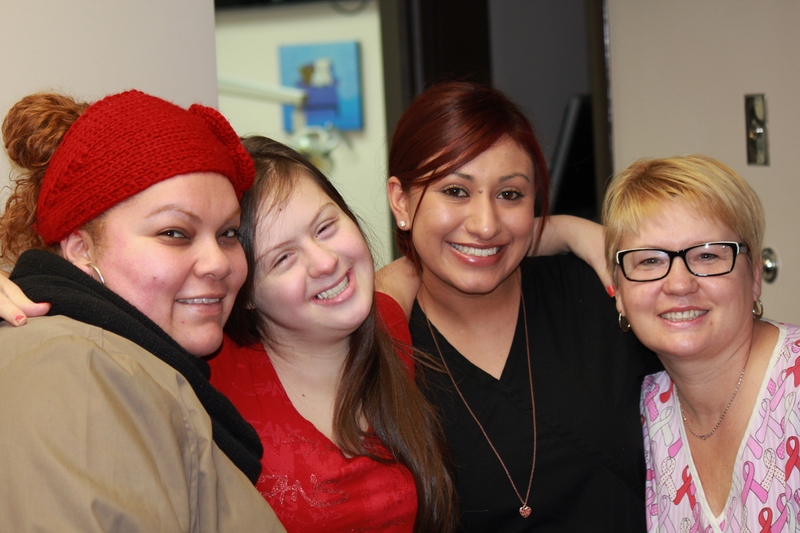 Patients with down syndrome have a variety of special dental issues to address. It is very important to treat these children in a comfortable environment where they feel safe, and to pace their treatment over a slow period of time in order to build patient trust and not overwhelm the patient. Sophia had many missing teeth along with extensive dental decay. She needed multiple extractions, followed by implant treatment and implant retained over dentures to replace the missing teeth. Also all porcelain crowns and bridge work were completed to give her the natural looking smile that she dazzles us with. Dr. Scopu is committed to restoring smiles for those who give us the most reasons to smile- children. Unfortunately, the major cosmetic and surgical procedures that were needed for Sophia’s case were beyond the scope of what her insurance would cover and what her family could afford. But through our GIve Kids A Smile Charity, Sophia was able to receive the treatment she needed in order to smile again. Is It Normal for My Teeth to Move Immediately After the Braces Come Off?